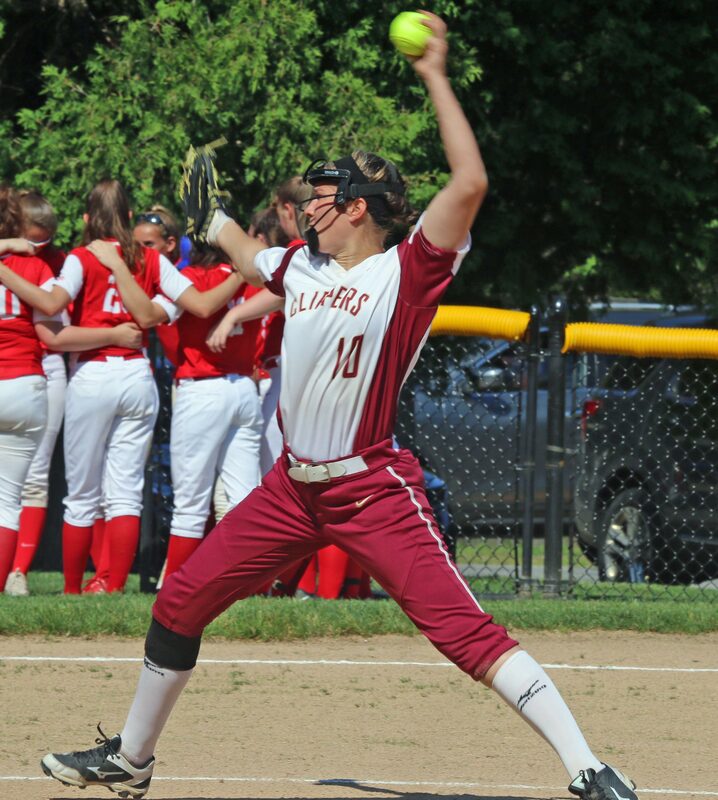 (Newburyport MA) Newburyport pitcher Paige Gouldthorpe made her last appearance at Pioneer Park a good one. 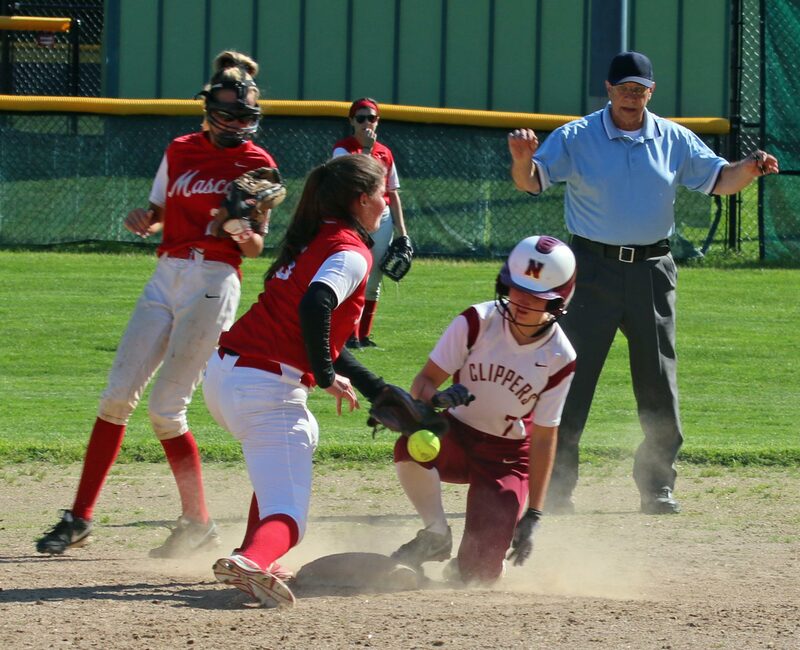 The Clippers (11-7) took Masco out, 12-0, via the mercy rule in the sixth inning on a sunny Tuesday afternoon at Pioneer Park. 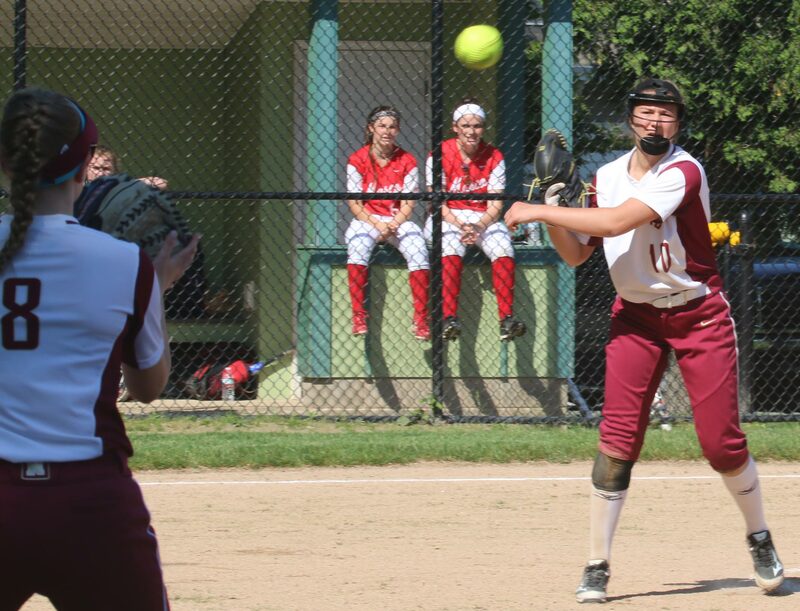 “Paige looked good on the mound, which was key to this win,” said NHS coach Bob Gillespie afterwards. 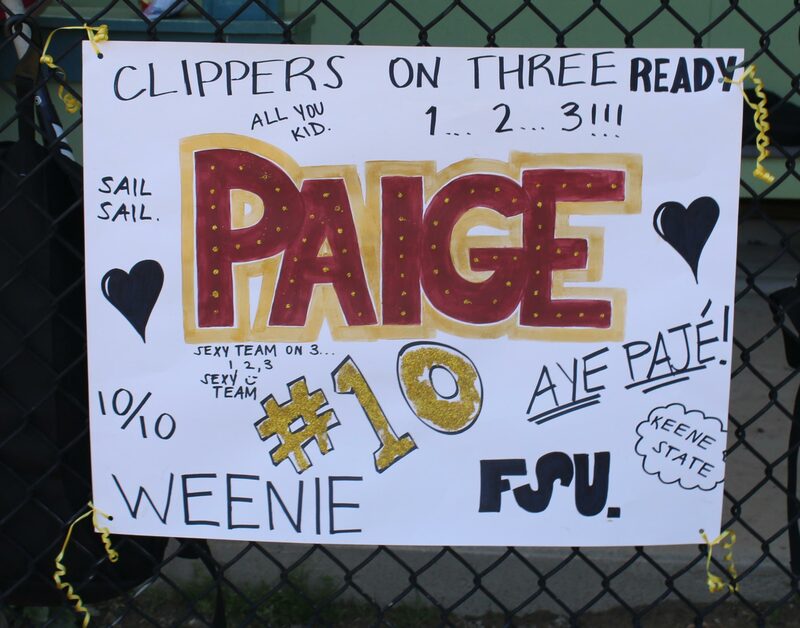 Paige registered eight strikeouts, walked none, and gave up only four singles. 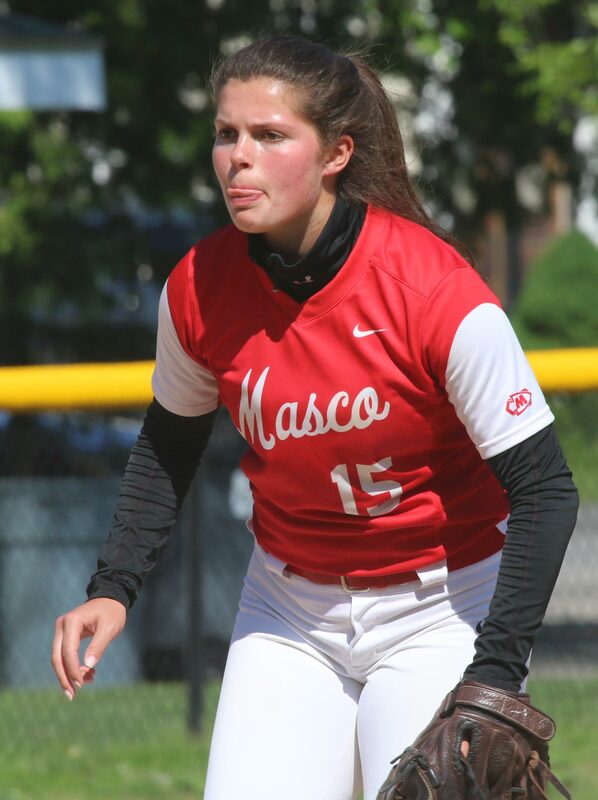 Masco (5-14) was their own worst enemy in this one yielding thirteen walks and committing three errors during the game. 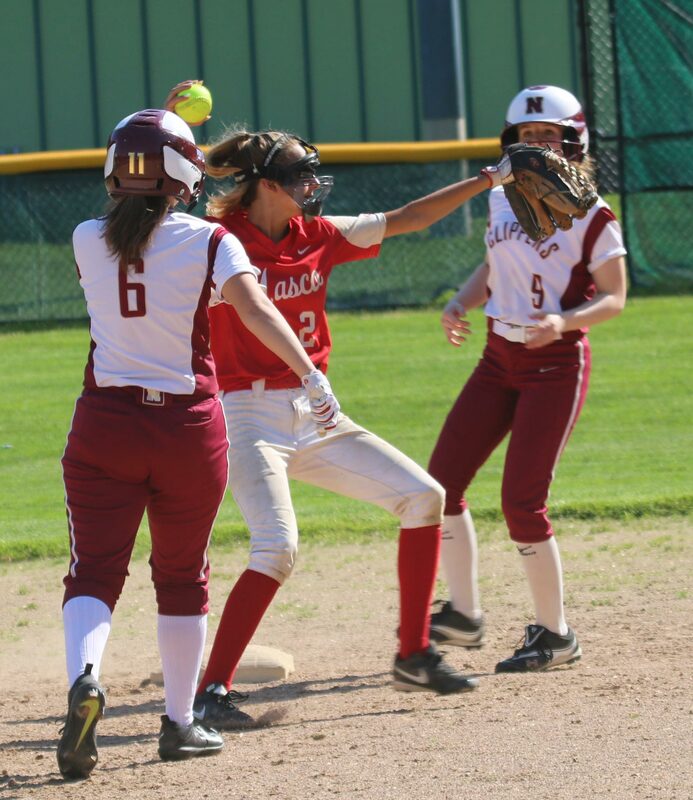 Surprisingly, Newburyport did not have a huge inning, although they were rolling in that direction in the sixth inning with four runs and counting as the game was called. Junior Liv Salvatore was the hitting star for the home team driving across five teammates. 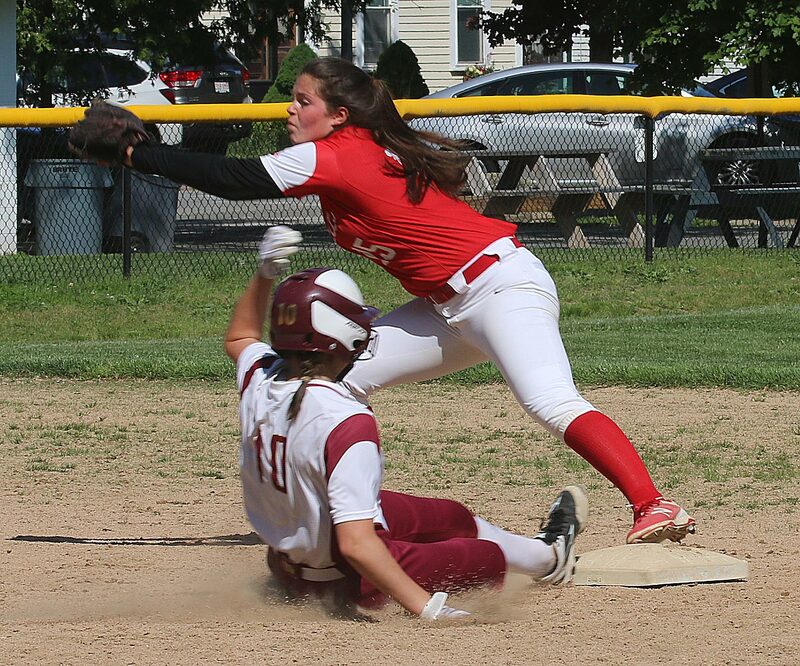 Her bases-loaded double cleared the bases and gave Newburyport a 5-0 lead in the second. 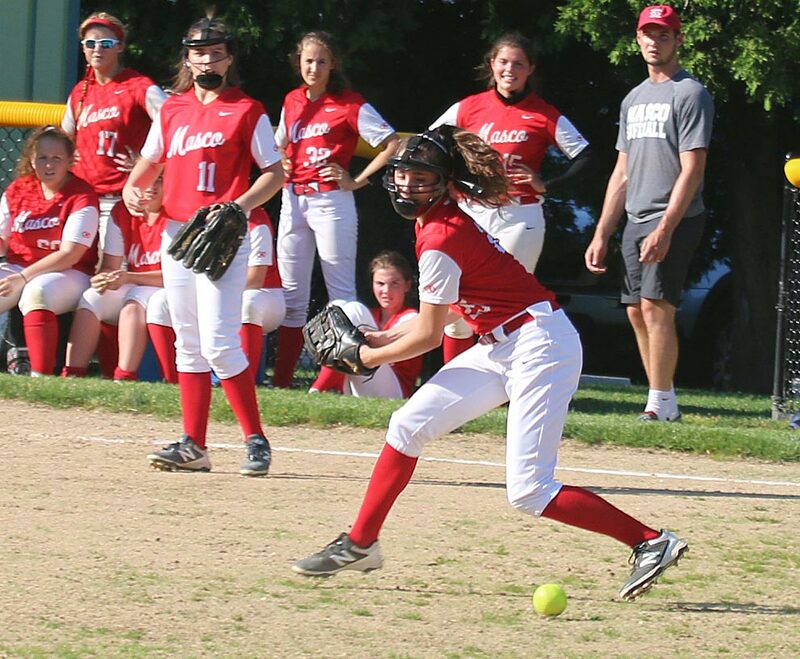 Masco coach Frank Kowalski used three pitchers (Alex Locke, Olivia Molloy, and Liv Filmore) during the game. The Clippers started their half of the first with four straight baserunners. Meg Winn reached on an error (3B Vanessa Hurley) and the others were walked. A run was forced in and a quick pitching change happened. 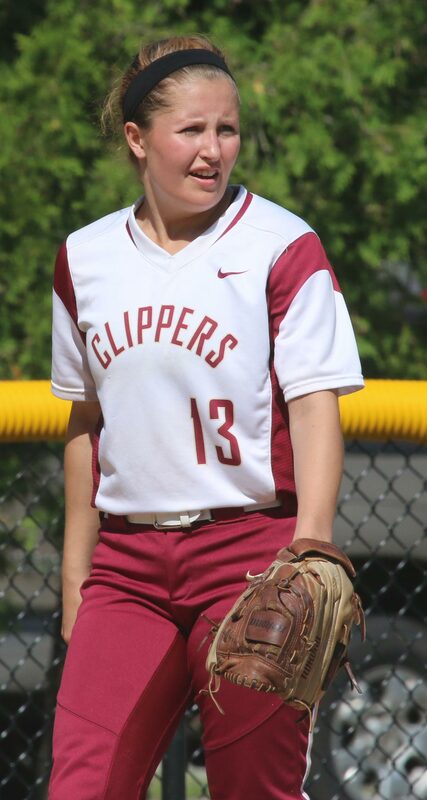 Olivia Molloy came on in relief and got three groundouts and the Clippers were held to a two-run inning. 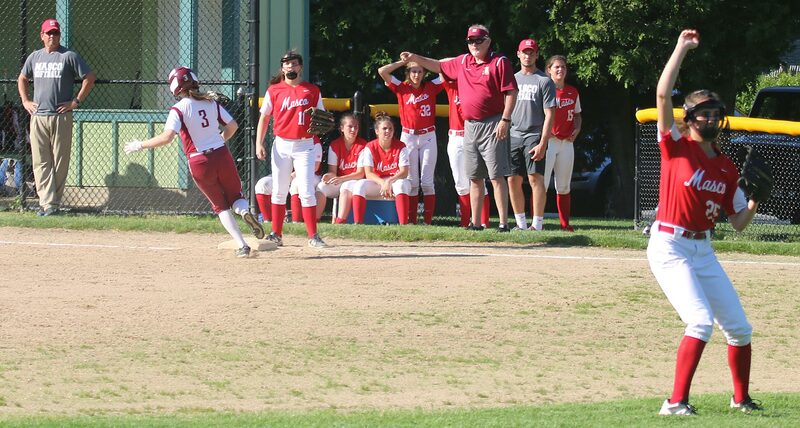 An error by 3B Vanessa Hurley extended the second inning, loading the bases. 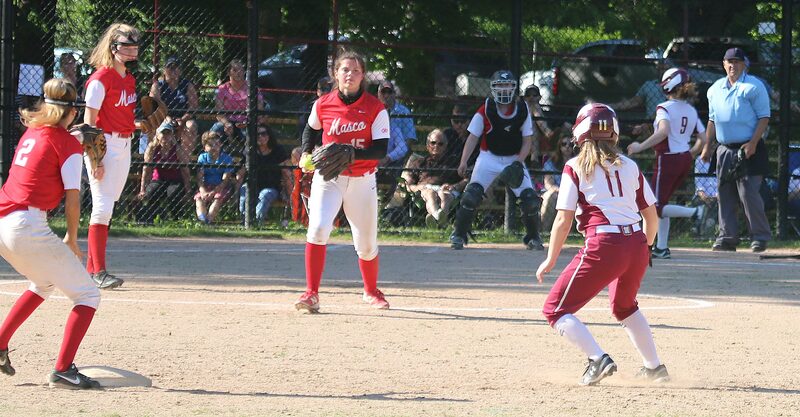 This was when Liv Salvatore drove home three unearned runs with a double. Meanwhile, Paige Gouldthorpe was throwing hard with good control. 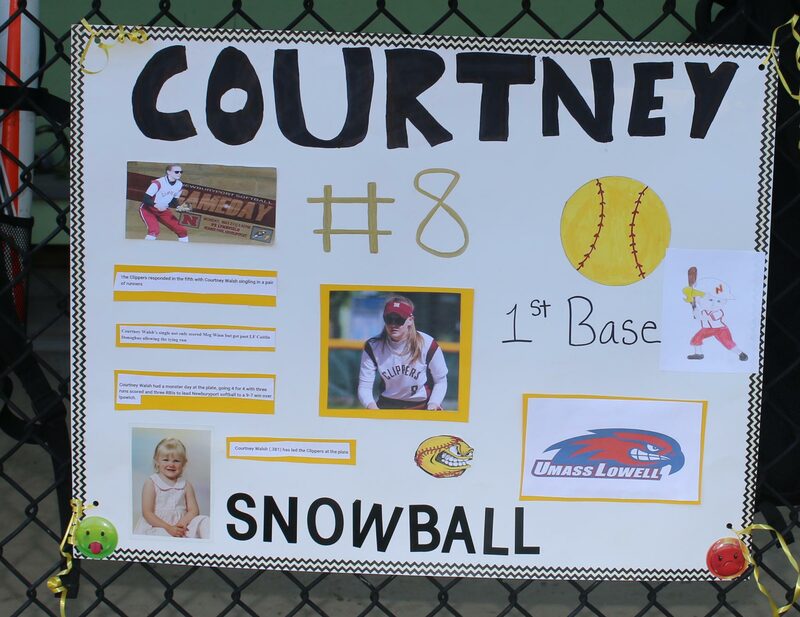 The senior scattered four hits and handled five grounders. 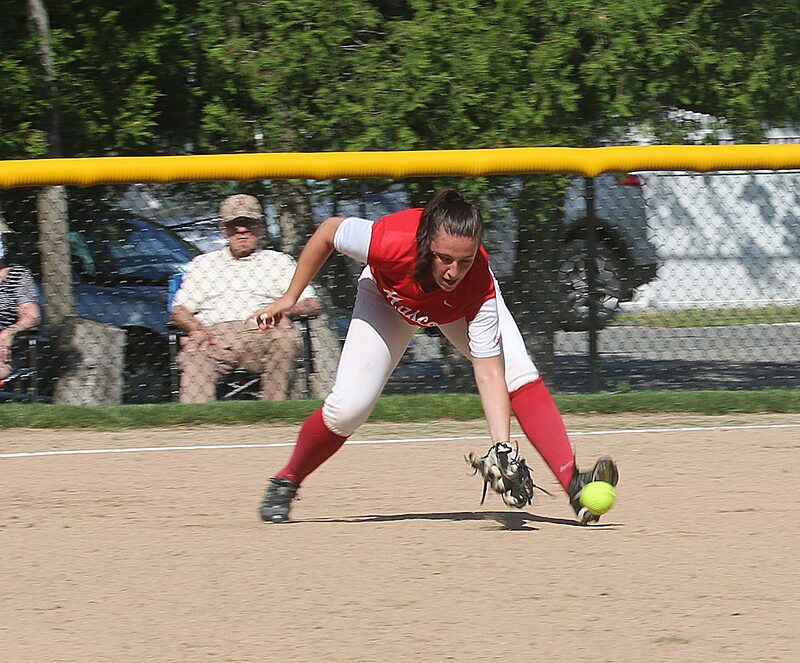 Masco had only one fly ball out in the game. 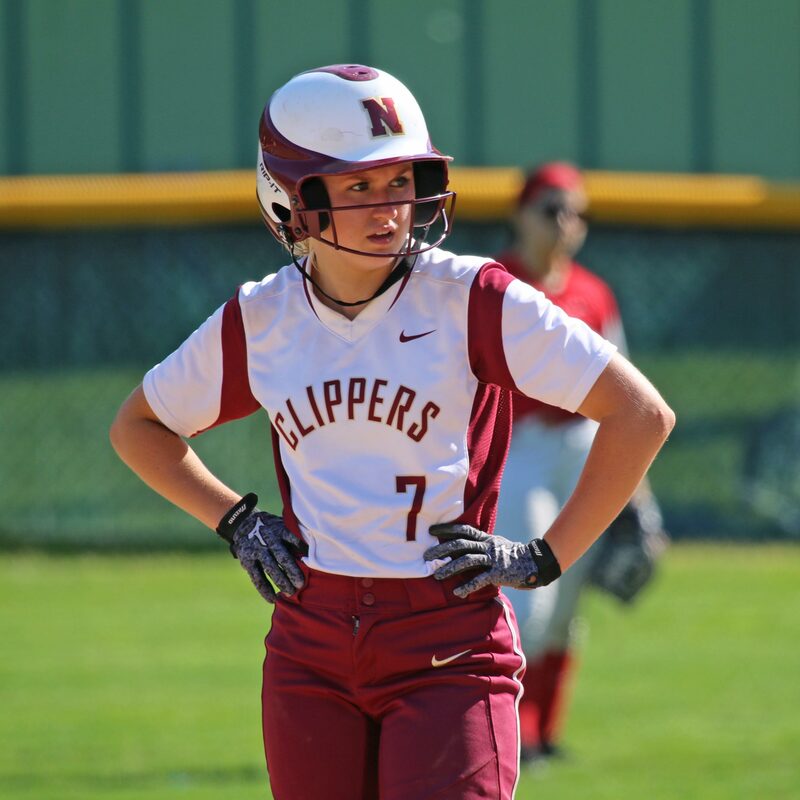 The Chieftains brought on Liv Filmore in the 5th inning and the Clippers batted around. 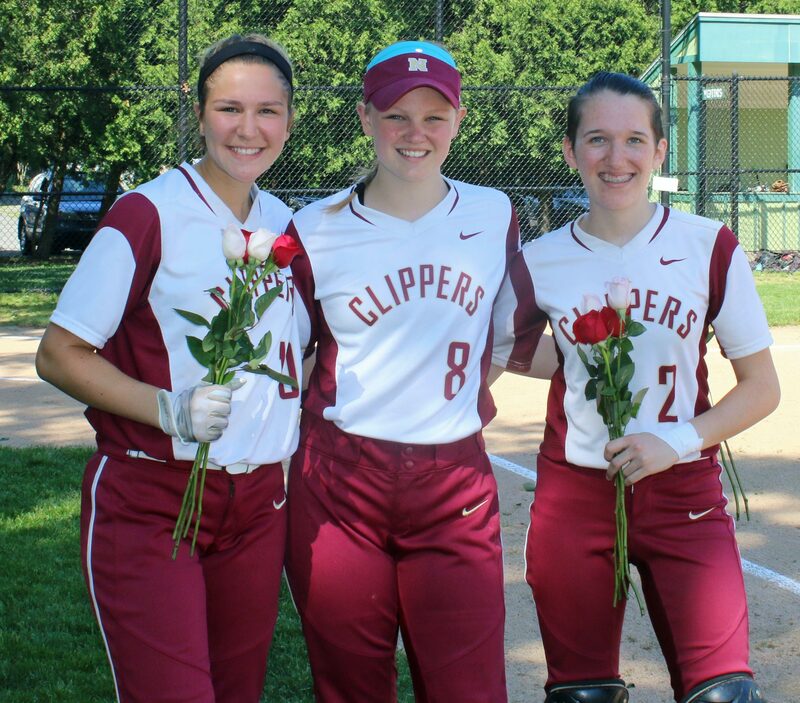 Three walks and three hits (Paige Gouldthorpe, Annie Siemasko, Callie Caponigro) led to three runs. The inning ended with the bases filled with Clippers. 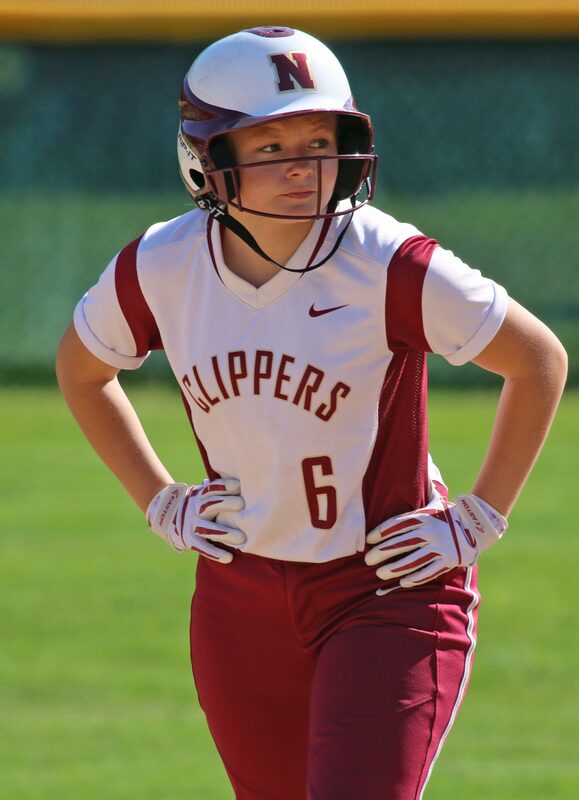 The Clippers combined one hit with four walks and a Chieftain error in the 6th inning to get the four runs needed to end this game early. Both Liv Salvatore and Annie Siemasko reached base all five times they batted. Both had two hits. 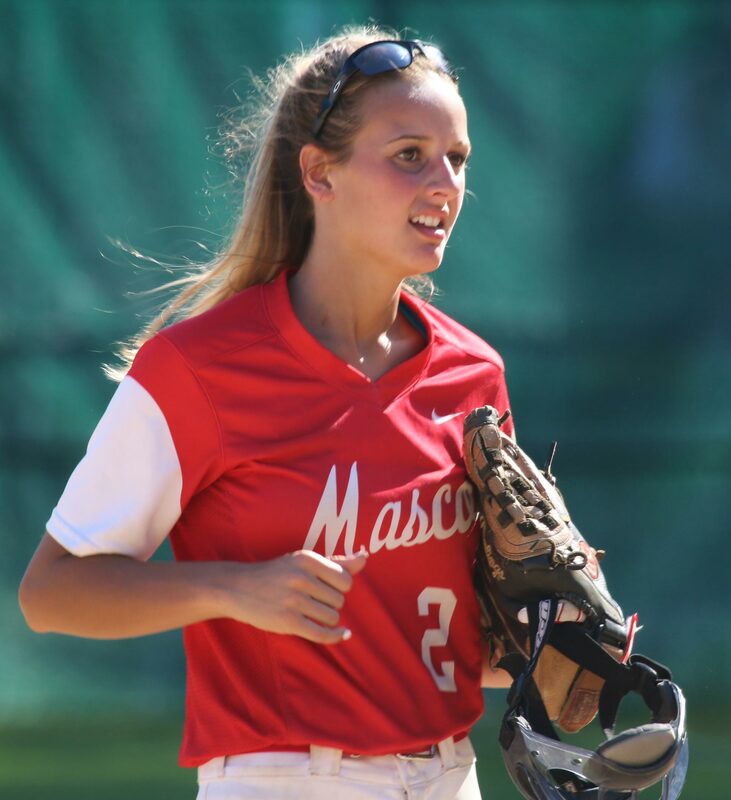 Sophia Cicilla, Gabby McSweeney, Brianna Mellilo, and Sheila Caputo had the hits for Masco. 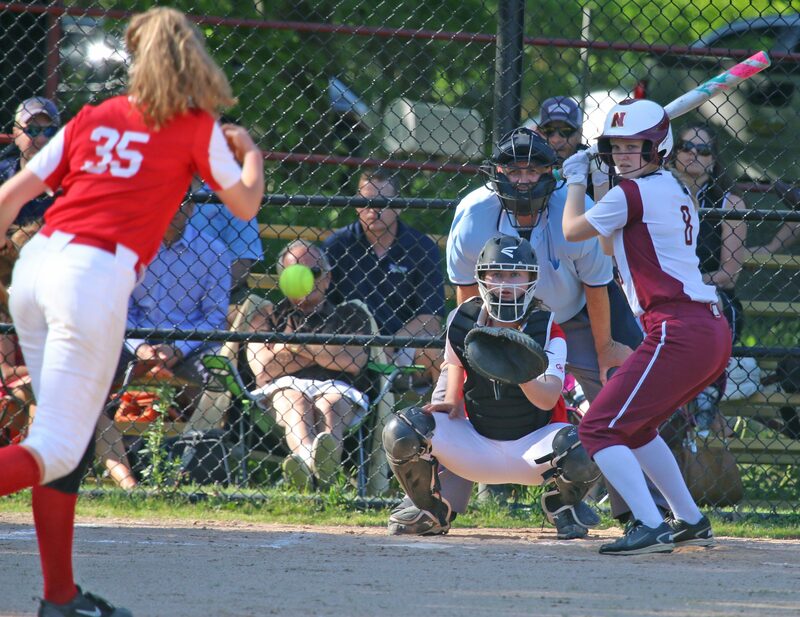 Callie Caponigro came off the Newburyport bench to get two hits and drive in two runs. It was Senior’s Day and I thought I would get recognized but instead they honored Paige, Courtney Walsh, and Sarah Linehan. 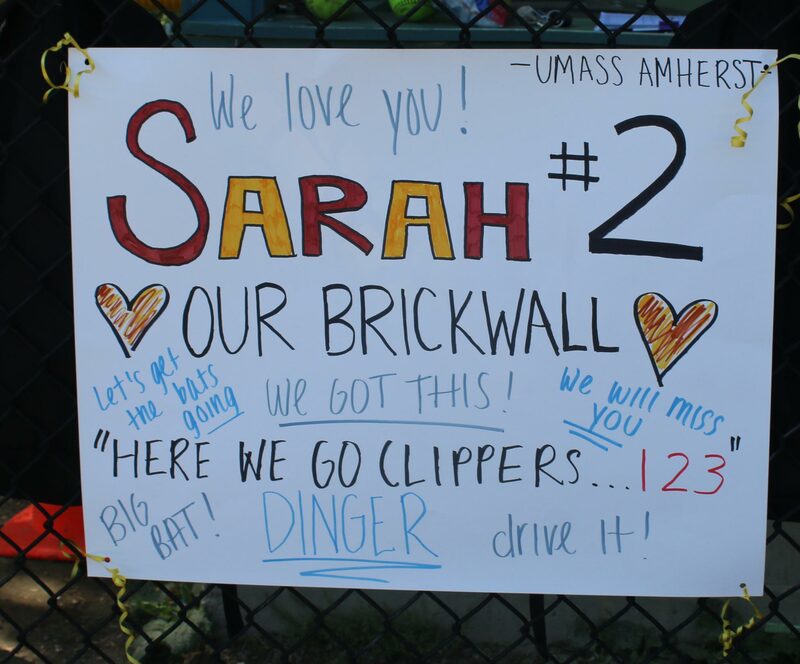 In a nice gesture, the Clippers recognized the seniors on the Masco team before the game. Paige sang the National Anthem. Newburyport had eight days off before today’s game and may have that many days off again before the tournament starts. “Maybe we’ll get in an alumni scrimmage before the tournament,” said Coach Gillespie. Good crowd on hand. I suspect that many of them were connected to the NHS seniors.